Islam A Living Faith is the first textbook that I have seen that provides the lay reader and seasoned scholars alike with an accessible overview of Islam and its history, the key issues facing the faith today, and how Muslims around the world live in the twenty-first century. It is not only very well written but it also uses a unique global framework to discuss Islam that draws on the experiences of Muslim men and women from the Muslim World and the West. The book’s nuanced arguments are also well supported by solid scholarship. DeLong-Bas has drawn upon her rich experiences as a teacher and scholar to produce an outstanding textbook on Islam. This accessible and well-written work is informed by current scholarship and includes many features that make it an attractive resource for the classroom. In particular, the study questions and recommended readings and films provide opportunities to further explore the many important issues that are addressed in each chapter. Its title Islam: A Living Faith captures well one of the great strengths of this book—it both introduces the reader to the rich history and traditions of Islam and explains how that heritage is being expressed and lived out by Muslims today. Islam: A Living Faith is the go-to primer for those interested in understanding the fastest-growing religion on earth. DeLong-Bas gives a thorough and concise presentation of Islam’s core beliefs, practices, and historical development in an accessible and engaging narrative. The text pays particular attention to issues of contemporary concern: the difference between Sunnis and Shia Muslims; the nature of the caliphate; Sharia and Islamic law; the status of women and non-Muslims; Sufism, Islamic spirituality, and mysticism; the nature of jihad; terrorism; and Islamic ideals of governance and international relations. With reviews, discussion questions, and suggestions for further resources provided for every chapter, I highly recommend it for teachers as well as students. DeLong-Bas provides an excellent introduction to Islam for twenty-first century readers, introducing the major themes of the faith tradition and providing engaging portraits of historic and contemporary Muslims. One among the book’s many strengths is its presentation of topics of contemporary interest within the historical framework of the Islamic faith tradition. Her model analysis of the politics and theologies of gender examines historical developments and current controversies. Coverage of the history and evolution of Muslim-Christian relations from the time of Muhammad to the present contributes importantly to scholarship as well as adds a dimension not usually covered in books introducing Islam. In this book, De-Long Bas writes about Islam not just eruditely—but engagingly and accessibly as well. The result is a broad-ranging discussion of many key issues that skillfully lays bare the diversity and complexity of the Islamic tradition. Highly recommended for all those who have been waiting for such a lucid introduction to what has been described as “the fastest-growing religion” in the world today. DeLong-Bas’s Islam: A Living Faith is a must read. This exceptionally well-written, informative, and engaging introduction to Islam and Christian-Muslim relations ​will be welcomed by teachers, students, religious leaders, and the general public. As the faith tradition of 1.6 billion people globally, Islam is the second-largest—and fastest-growing—of all the world’s religions. Still, many in the West harbor misconceptions about its people, practices, and beliefs. 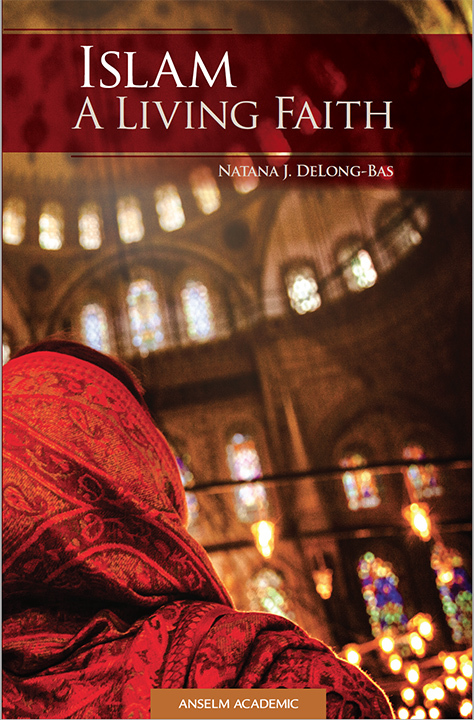 Through rich and thorough exploration, Natana DeLong-Bas’s Islam: A Living Faith challenges ignorance with facts and false impressions with stories of lived faith. Weaving personal narratives with major historical and contemporary events and developments, DeLong-Bas skillfully and sensitively conveys the teachings, people, and practices of the Islamic faith. This introduction includes sections on the Five Pillars, the Qur’an, and the legacy of Muhammad, as well as sections on the origin of sectarian identities, the purpose of Shariah and Islamic law, the mystical tradition of Sufism, and Muslim-Christian relations. Stocked with terms, definitions, and recommendations for additional resources, Islam: A Living Faith is perfect for use in the classroom. 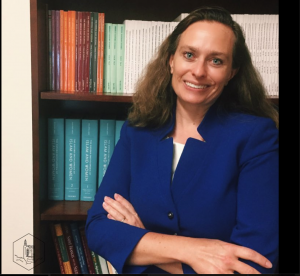 Natana J. DeLong-Bas is an associate professor at Boston College, where she teaches Theology and Islamic Civilizations and Societies.. She is coauthor of Shariah: What Everyone Needs to Know (Oxford, 2018) and editor-in-chief of The Oxford Encyclopedia of Islam and Women (Oxford, 2013). Natana J. DeLong-Bas teaches theology and Islamic civilizations and societies at Boston College. She is co-author of Shariah: What Everyone Needs to Know (Oxford, 2018) and editor-in-chief of The Oxford Encyclopedia of Islam and Women (Oxford, 2013).